Some strong opinions against UPS. Why is FedEx so much better? FedEx freight is the way to go and take it to them to package and ship! Costs more but it does put the liability of packaging on them and insure for total value! Prevents the "You packaged it wrong" scenario if damage does occur! Just my opinion for what it is worth! 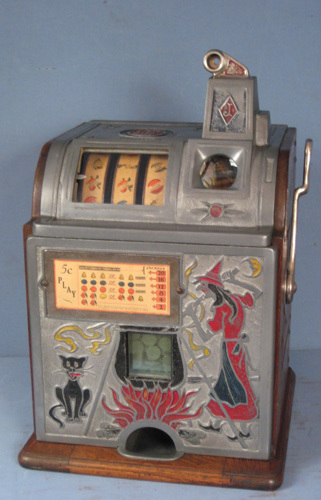 What slot machine are you shipping if I can ask, just curious! 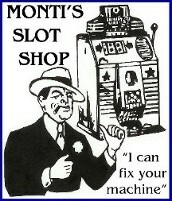 I’m buying a machine and getting instructions for seller. I bought a Bursting Cherry and will be taking a stab at my first restoration. That will be a nice little project for you as a first restoration! Mill's are fairly straightforward to work on! Have fun with your new "Toy" when you receive it! About packing that Slot. Think of NASA and its "lander" package.. Upon arrival the outside package was designed to bounce to avoid damage. I'll suggest lots of packing with material that will take a hit and bounce back to continue protection, because in transit it will have many chances to be kicked around. Imagine your box dropping off the back of a truck or falling over from a hand truck incident. That's the target. It has to be solid and not be able to rock around inside its container. And this can be done. Lots of great ideas have already been posted. Great ideas. Best of luck. Yes, it looks like it mostly needs a good cleaning but will be a great learning experience to take apart and put back together. Looking forward to it! Follow up post... I had the seller take to FedEx and have them pack. The machine was bubble wrapped surrounded with foam and doubled box. It arrived safe and sound with no damage. No cheap at $350 plus $65 for packing but shipping didn’t seem like the area to try to save money on. Shipped Atlanta to Portland in five days. Appreciate the helpful advice. Glad you got it alright! Cost does seem a little high though as I ship FedEx all the time and they normally charge about $200.00 plus or minus which includes a wardrobe box, cut down in size for a slot machine, double walled rated at, I believe 275 pounds, they package and ground ship plus insurance! I hope I'm not in for a big surprise on the next one I ship! But I do have an account with FedEx that I have had for 16 years! Was it COD on delivery or was it pre-paid at shipping point, just curious? Pre-paid by seller and 5 day ground. Included insurance. I was anticipating the $200 range so was bit shocked to hear the cost. I'm sure having an active account helps but would be surprised if the discount is that steep. Receipt attached.